Life is a marathon! Musings from a Scottish girl who loves running, yoga, reading, Paris, cats and wants to be a Disney Princess! 11 months down and just 1 to go. That means it’s time for my monthly check in with my 2018 goals in The Year of Me!!! Since the end of September I’ve had this one wrapped up so now it’s really just about maintaining consistency as I build a solid base for marathon training. 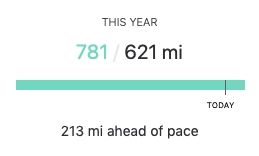 I’m already at my highest annual mileage ever and thanks to another strong month, it’s looking likely that my final total will be 800+! I love yoga and really want to have a regular home practice to complement my 2 weekly classes, but I’m consistently finding I’m coming in at 4 times per week rather than 5 right now. Certainly, it’s not the biggest problem in the world to have, but I would like to get this one back on track for December. Another one that I already completed. 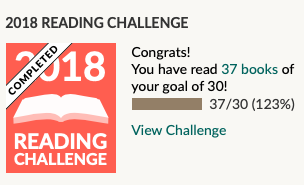 I added a further 2 books to my total this month so am now at 37. Obviously, I’d now love that to be a nice round 40 by the end of the year. The change to my routine to encompass early runs has definitely helped with this one. Now that I’m getting up earlier a couple of times a week I’m much more conscious of making sure I get to bed sharp. And now that I’m several weeks into a buy term, I am noticing that my fatigue levels are lower than before so the new routine seems to be suiting me so far. Since beginning a 100 day challenge to watch 100 TED talks, this one has been well on track. I’m not necessarily managing one a day, but I will watch 100 within the time frame and the end of November saw me at 82 TED talks since mid-September. One of my favourite goals. To be honest, I don’t even think about how many I’m listening to any more as I just love keeping up with my favourites and listen to at least one show per day, sometimes a little of a second. I’m now totally up to date with the ones I listen to regularly and have slotted in a few past episodes of ones I dip into form time to time. Back to being last minute, this month I responded to the photo prompt Favourite Place. I’m really noticing an improvement here. During the week I only really have time to look at my phone in the evening and am conscious of setting it aside when I’m doing something else like watching TV. I do look at it a bit more at weekends, but my screen reports from Apple suggest I’m not overdoing it. Yes, I enjoy some aspects of social media, but it’s refreshing not to feel tied to looking at things all the time. Are you on track with your goals for the year? What can you do in the remaining weeks of the year to help you achieve a goal? This entry was posted in Daily Post, Life and tagged blogging, books, fitness, goals, podcasts, postaweek, reading, rest, running, yoga by The Running Princess. Bookmark the permalink. Good for you on doing so well at your goals this year!